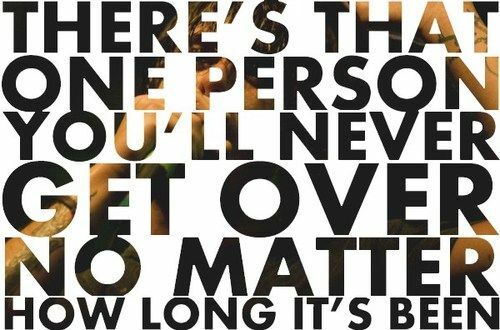 There's that one person youll never get over no matter how long its been. For some of us we know that person that we will never get all the way over all too well. Whenever we experience a bad break up, or break up with someone we thought might have been forever, it seems as though this person will always be at least a stain on our hearts. You may have tried everything possible to get over this person, but still after months, or maybe even years, you find yourself giving that person thought. 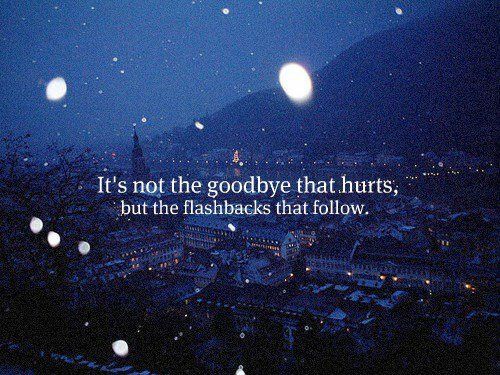 Know that this is a natural part of coping with our past that many other people are going through as well. 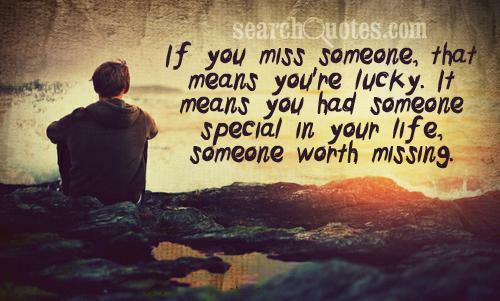 If you miss someone it means that you're lucky, it means you had someone in your life worth missing. Missing someone, especially someone that we love dearly but can't be with like we would like to, is a difficult part of life that we all have to deal with. Whether in the event of a loved ones death, or a bad break up, it is hard being without someone who was once there for us, and who we never thought in a million years wouldn't be there. Times like this we just have to be strong, and rely on the memories we shared with this person to help us grieve and to comfort us. 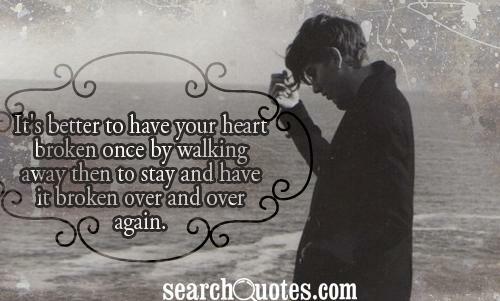 It's better to have your heart broken once by walking away then to stay and have it broken over and over again. Dealing with a broken heart is a hard arduous task. When people get their hearts broken, they tend to think about the negative, instead of thinking about the positive in these circumstances, because of the enormous amount of overwhelming pain that they feel. The pain you feel can greatly affect your thinking, and will most certainly cloud it if you put forth no effort to think clearly. Remember there was probably a time where you at least wondered if you would ever find someone to love. 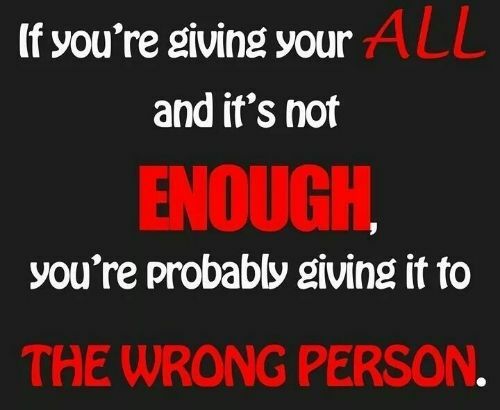 If you're giving your all to someone and it's not enough you're probably giving it to the wrong person. Sometimes we give our all to someone and we end up being hurt by this same person. When we experience a pain like this, it cuts very deep, and we start to question ourselves and whether we gave a good enough effort, and if we did everything right that we may have possibly been able to.